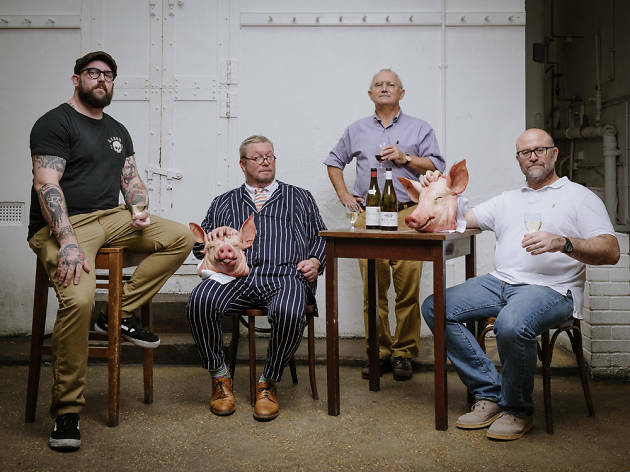 Rhoda’s Nathan Green is teaming up with Fergus Henderson of St.John and Hawksmoor’s Richard Turner for a collaborative meaty feast with rare wines provided by St.John Wine’s Trevor Gulliver. The shared ethos of seasonality and nose-to-tail eating, complemented by Nate’s flaming charcoal grill means this is one dining experience gastronomes shouldn't miss. 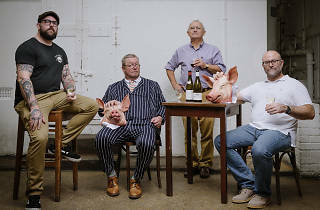 The four-course dinners will run over five nights with a wine-pairing from St.John Wine’s extensive Shoreditch cellar included. Expect snacks featuring such as home-made charcuterie, and beer bread with nori seaweed butter. Starters from St. John include crispy pig's cheek and chicory and a collaborative main dishes up ox tripe and cheek gratin, bone marrow and parsley crumb accompanied by buttered savoy cabbage with sage. Finish with sweets such as Eccles cake and Lancashire cheese.